For many, the thought of living a life of overall wellness may seem like an elusive goal. With the right tools and support system, however, it is fully attainable. At the Eulo Chiropractic Center in Sewell NJ, near Turnersville we believe that wellness is achievable through individualized care. Dr. Eulo specializes in chiropractic care and wellness, and our clinic offers non-invasive services and massage therapies, weight loss counseling and programs, nutrition education and care for those who have suffered auto or other injuries. Health and well-being is achieved when the body has gained a state of balance between the body, spirit and mind. Part of that balance involves living a life that is free of neck pain, back pain, headaches and other forms of pain, but also one in which you are maintaining your optimal weight and fueling your body with good nutrition. Pain relief is just one step in achieving a state of well-being; having inner peace and a positive attitude are also necessary for the body to be balanced. Our Turnersville clinic is convenient to those living in Williamstown, Washington Township, Sewell, Sicklerville, Franklinville, Blackwood, Glassboro, Pitman, Erial, and Clayton. If you want to live a life of health and well-being, the first step is to call us and set up a consultation with Dr. Eulo. As a chiropractor, Dr. Eulo is committed to finding the source of your pain or condition, not just treating the symptoms. When you meet with him he will do an assessment of your body system and determine what parts of your body or health are causing problems. He can then work with you through a series of chiropractic or massage therapies, nutrition counseling, pain relief measures, and weight loss or maintenance programs to help your body regain its balance. Dr. Eulo's approach to well-being is one of holistic and non-invasive intervention; he believes that the body knows best how to heal itself and by removing pain, poor nutrition and excess weight that the body will naturally regain balance. Dr. Eulo believes in natural healing with the assistance of proven therapies to help your body heal itself so that you can live a life filled with vitality and good health. 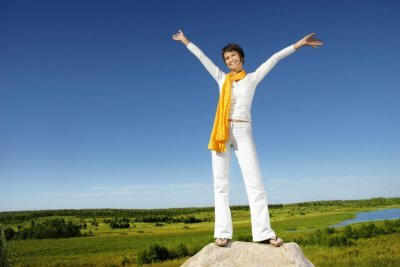 Everyone at our clinic in Sewell believes that you can live your best life if your body is healthy and your attitude is positive, and Dr. Eulo will give you the tools to achieve this balance. If you have lived with neck pain, back pain, headaches or decreased mobility for a long time you may believe that there is no other way to live. There is another way, and our clinic can help you get started on the path to well-being. Take the first step; call us today and let us help you achieve a life full of health and balance. We will give you the tools and support you need in order to live your best life. Call today at ;856-269-4567 .